In today’s interview I get to speak with, Dr Jeremy Howick, award-winning Oxford philosopher, medical researcher and author about how we can heal ourselves, maintain good health and reduce unnecessary medical intervention by focusing on the mind-body connection. Jeremy is very passionate about the power of mindfulness on our body and general wellbeing. After his own personal life experiences taught him how impactful these techniques can be; he threw himself into the research to uncover more. 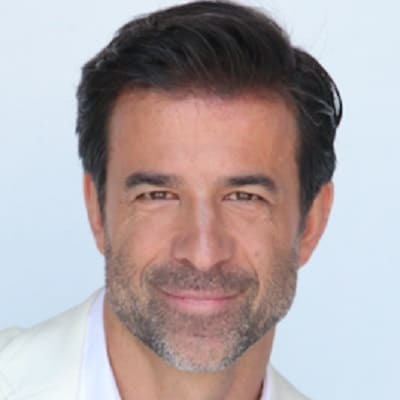 In today’s interview, we get a chance to talk about the evidence-based medicine methods he has researched that have changed his life, and the lives of other people, for the better. If you know someone who is interested in how they can reduce their reliance on medication, want to learn how to heal their body and focus their mind, this interview is for them. I enjoyed this interview as I have a keen interest psychoneuroimmunology and the idea that our state of mind can have a powerful effect on our health. Jeremy shared some great insights and tips on ways we can begin to focus and relax our minds to allow our bodies to work more efficiently in the healing process. Special thanks to Jeremy for joining me on the show. Enjoy the episode! For more information visit Jeremy’s website. You can also find him on Twitter. [00:19] – Introducing, Dr Jeremy Howick, an award-winning Oxford philosopher and medical researcher with a PhD in philosophy of medicine. He has conducted ground breaking studies about placebos and why we need unbiased experiments. Has over 80 academic publications in top journals including, the British Medical Journal, Annals of Internal Medicine, and The Lancet. He is also the author of the textbook The Philosophy of Evidence-Based Medicine and his new book titled Doctor You: Introducing the Hard Science of Self-Healing. [01:15] – Jeremy’s interest in self-healing grew through numerous personal experiences, starting with a very positive outcome he had using ginger tea to heal his allergies at the time. He also found the relaxation response from yoga had positive effects on his mood and self-healing. He then began to study the placebo effect in medical trials. Jeremy explains how he recently improved his own knee injury without surgery. [03:20] – Jeremy explains the paradox of modern medicine. We came a long way in being able to treat certain diseases, but we started to overuse and over-rely on medicine for treatment of all ailments. [04:51] – How do we heal the immune system and reduce inflammation? Acute stress causes immune system suppression, the best antidote to that is the relaxation response. Similarly, psychoneuroimmunology studies look at how the way that you are feeling causes physical ailments. [07:38] – Dr Bali (currently 94 years of age) is a yoga teacher that transformed Jeremy’s life. Jeremy shares the story of how he met him and followed his teachings to improve his national level rowing performance. This experience help to change his beliefs about the mind and body connection. [12:08] – Expectation vs conditioning in mind-body conditioning. Expectation is a conscious belief; positive expectation changes the brain, so it produces certain chemicals. Conditioning on the other hand happens at the subconscious level. Just a thought of a situation can produce a specific response e.g. Pavlov dogs. [14:34] – Jeremy shares some actionable tips. For expectation: practice positive messages, such as telling yourself you will feel better soon, or do positive psychology exercises. For conditioning: go somewhere/talk to someone that makes you feel good, and also whenever you succeed at something, reward yourself. [16:40] – We discuss the importance of empathy. 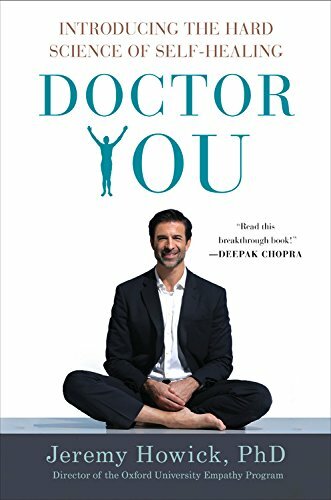 By quantifying benefits studies showed that offering emphatic and positive communication improved conditions such as pain, hospital stay and quality of life (in his book, Doctor You, he offers more evidence-based examples about how it can improve patients’ outcomes). To make the right diagnosis it is important to understand the patient, and it is impossible to do so without empathy. [20:07] – Today doctors often suffer from burnout syndrome, and time and budget constraints which can result in a deterioration in empathy. [21:52] – We can enhance the healing of loved ones by the way we talk to them. Feeling connected to our friends and family is an important factor to health, in fact, Jeremy explains how social isolation can be as bad as smoking. He encourages people reach out to others who may be isolated, as there is emerging evidence that shows doing an altruistic act boost our own wellbeing, as well. [24:26] – Lower stress helps in digestion; in high stress situations your body stops producing gastric juices that lead to hunger and digestion is compromised so we do not absorb nutrients properly. [28:03] – Evidence shows yoga improved the glucose response in type two diabetics. Jeremy explains how yoga reduces stress which effects the symptoms and causes of diabetes. [32:30] – Should doctors prescribe placebos? Jeremy believes it isn’t unethical to do so, because they don’t have to lie; if you prescribe placebo and tell the patient it still seems to work because of conditioning. He also explains how it doesn’t need to be a pill and the benefits of positive messages and empathy even in the most challenging cases. [35:11] – Which patients would benefit from placebo? Most people think it wont work on them and it’s hard to predict who it will work on, but we should all be open to it. Jeremy explains that instead of surgery (knee, back, shoulder pain) people should consider other options as placebo surgery often works very well. [36:50] – What is a placebo? It can encompass sugar pills, saline injections, psychotherapeutic interventions as well as placebo surgery. Jeremy explains how placebo surgery works. [40:39] – Finally Jeremy explains that self-healing begins with inducing a relaxation response. Ideally for 20-30min twice a day, but if don’t have the time Jeremy recommends some simple techniques (with more actionable tips in his latest book). It is important to remember that the mind and body are connected – you can heal yourself from many of things that we currently seek too much medicine to try fix. [42:18] – To follow Jeremy or find out more visit his website jeremyhowick.com where he shares many resources and has a newsletter for people to sing up to. 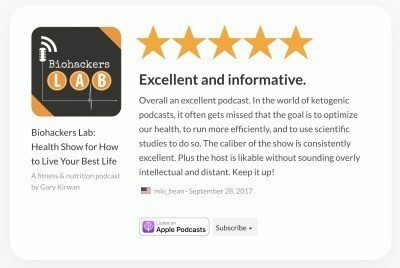 If you haven’t already please Subscribe to Biohackers Lab on iTunes or Biohackers Lab on Stitcher for Android or Google Music or Biohackers Lab on YouTube for all the latest episodes. Now it’s time to share your thoughts. Share this episode on Twitter, Facebook, or Pinterest. Leave an honest review on iTunes. Your star ratings & reviews really help, plus I will read each one.